When you choose the Select tool, its properties and options appear in the Tool Properties view. • Snap to Contour: Snaps your selection or point to any line you position it on. 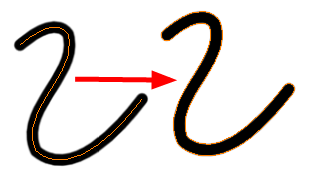 As soon as you move it close enough to another line, your point or selection will snap to it. • Snap and Align: Snaps the selected anchor point to any existing line while displaying temporary rulers as a guide that you can also snap your anchor point to. • Snap to Grid: Snaps your selection following the currently enabled grid. • Select View > Grid > Show Grid to display the grid in the Camera or Drawing view or press [Ctrl] + ['] (Windows) or [⌘] + ['] (Mac OS X]). • Select View > Grid > Square Grid, 12 Field Grid or 16 Field Grid for your current needs. 2. In the Contour Editor Tool Properties view, click the Snap to Grid button. 3. In the Camera or Drawing view, click on an anchor point you want to snap following the grid, and drag it to the desired position and release. Refer to the Grid topic to learn more about the Grid feature. The Permanent Selection option is used to maintain a selection over multiple drawings. Once this option is enabled, the selection zone made using the Select tool will remain as you navigate through drawings from a layer and drawings from other drawing layers. 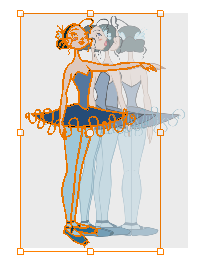 This option can be used to simultaneously delete artwork inside or outside of the selection on several drawings when combined with the Apply to Multiple Drawings option. 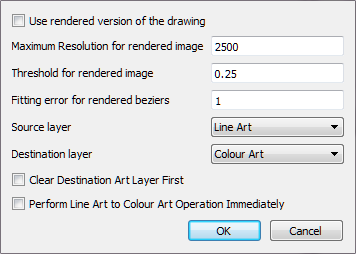 The Apply to All Drawings in Layer option is used to perform an action on all the drawings contained in a layer. For example, you could enable the option to paint a section on all the drawings simultaneously. The Apply Tool to All Drawings option must be activated before performing the action and will stay enabled only for the next action. The Apply to All Visible Drawings option is used to perform an action on all the visible drawings in the Camera view. This option is not available in the Drawing view. The Select by Colour mode lets you select all the zones in your drawing painted with the same colour. Only the zones painted with the SAME colour swatch will be selected. If another zone is coloured with the exact same RGB value (same colour), but not painted with the same colour swatch, it will not be selected. 2. 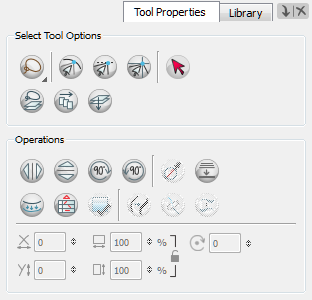 In the Tool Properties view, click the Select by Colour button. 3. In the view, click on any zone in your drawing. All zones of the same colour are selected. 4. Click the Select tool again to return to the regular Select mode. 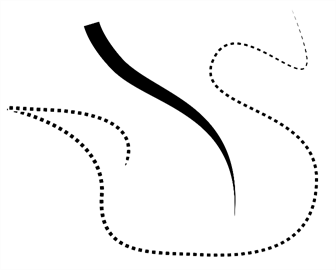 The Pencil to Brush operation converts the selected centreline pencil strokes into contour strokes brush lines. From the top menu, select Drawing > Convert > Pencil Lines to Brush or press [&]. 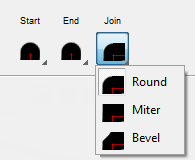 You can also access this feature through the top menu, by selecting Drawing > Optimize > Flatten. The [Alt] + [Shift] + [F]. Use the Store Colour Gradient operation to record the selected gradient’s position. 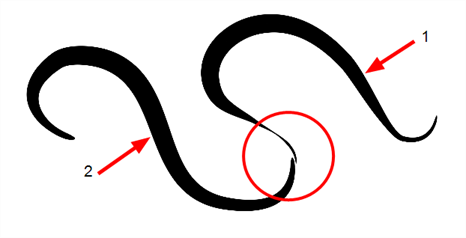 This reuses the stored position of the gradient when drawing new brush lines or painting colour zones. Enable the Use Stored Colour Gradient option in the Paint or Brush Tool Properties view to do this. Refer to Drawing with the Brush Tool or Painting Using the Paint Tool to learn how to use the Use Stored Colour Gradient option. Points have to be close enough to be merge. If there is a big gap between the lines, they will not be merged. You can configure the Create Colour Art from Line Art option to suit your requirements. 1. In the Select tool Tool Properties view, [Shift] + click the Create Colour Art from Line Art button. 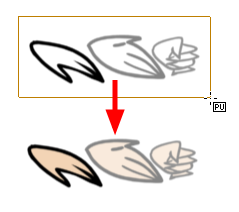 ‣ Use rendered version of the drawing: This option will render the drawing and vectorize it to calculate the position of the centreline that will produce the colour art stroke. 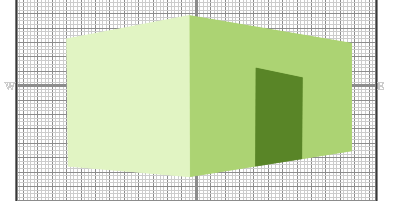 ‣ Maximum Resolution for rendered image: The size of the rendered image. 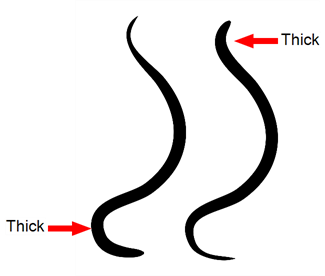 ‣ Threshold for rendered image: The value of grey processed to create the rendered vectorized arts. 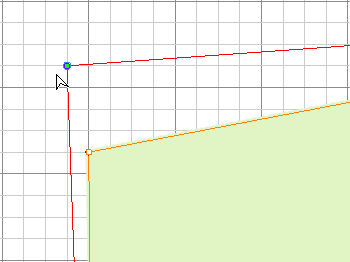 ‣ Fitting error for rendered beziers: This value represents how precise the fitting of the colour art zone in relation to the line art will be. ‣ Source layer: Select the layer (Line Art, Colour Art, Underlay or Overlay) you want the colour art to be created from. ‣ Destination layer: Select the layer (Line Art, Colour Art, Underlay or Overlay) you want the colour art to be created on. ‣ Clear Destination Art Layer First: Enable this option if you already have artwork on the destination layer and you want the content to be deleted before the colour art is added into it. ‣ Perform Line Art to Colour Art Operation Immediately: Enable this option to perform the Create Colour Art from Line Art command when you click OK. 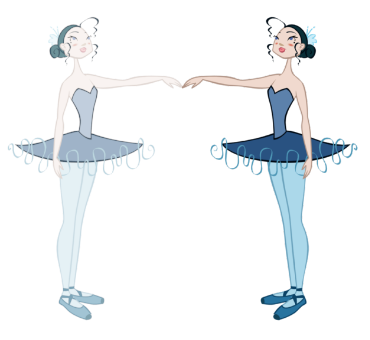 Refer to Line Art and Colour Art Layers to learn more about the Line Art and Colour Art concept. 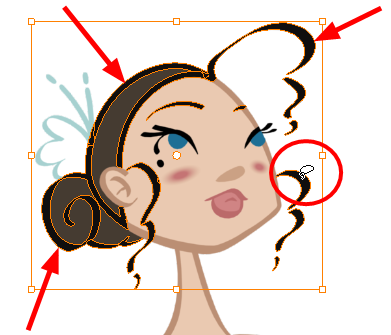 The Distribute to Layers option is used to separate the selected art strokes and send them to new drawing layers. In the Camera view, once you have drawn your artwork, you can select the strokes you want to distribute using the Select tool and click on the Distribute to Layer button, you can also select Drawing > Distribute to Layer. It will automatically take every stroke from the drawing selection made in the Camera view and separate them into a different layer for each. 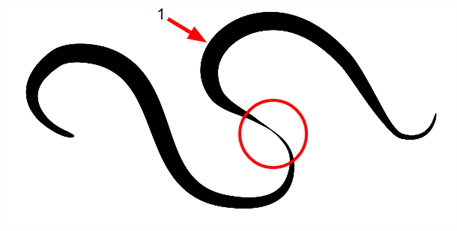 If an artwork is composed of several strokes, you must group them using Edit > Group > Group before using the Distribute to Layer option. This option cannot be done from the Drawing view. Refer to Break Down: Distribute to Layers to learn more about the Distribute to Layer option. 3. Up/Down arrows: Use the up and down arrows to modify the value contained in either the Width or Height value field. 4. Lock icon: Click on the lock icon to lock or unlock the ratio between the width and height values. 1. X: Type an offset value in this field to reposition your selection along the X-axis. 2. Y: Type an offset value in this field to reposition your selection along the Y-axis. 3. Up/Down arrows: Use the up and down arrows to modify the value contained in either the X or Y value field. Use the Angle operation fields to enter specific values and accurately rotate the selected shape. 1. Angle: Type a degree value in this field to rotate your selection. 2. Up/Down arrows: Use the up and down arrows to modify the value contained in the Angle value field. 1. 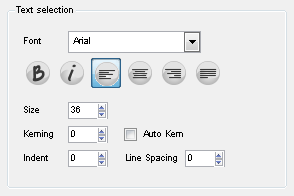 Minimum Size: Type a value in this field to set the minimum thickness of the selected centreline stroke. 2. 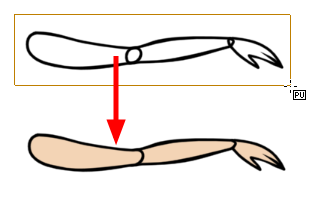 Maximum Size: Type a value in this field to set the maximum thickness of the selected centreline stroke. 3. Up/Down arrows: Use the up and down arrows to modify the value contained in the Thickness value field. 4. Lock Proportions: Enable the Lock option for the minimum and maximum size to increase and decrease in proportion. Toon Boom Animate Pro gives you the flexibility to change the style and thickness of your pencil lines even after they are drawn. You can apply preset pencil stencils or create your own. Pencil lines support texture. Once a pencil line is drawn, you can apply a preset texture or load your own. Textures are independent from pencil stencils. When you select text with the Select tool, the tool properites will display the Text tool options on the bottom of the view. You can also press [Alt] +  to display only the Text properties in the Tool Propertie view. Refer to Formatting the Text to learn more about the Text tool Tool Properties.